Is everyone as happy as me that it’s spring? I was in Florida on vacation this past weekend and even though I took a few days off from my diet, I think I must have eaten pineapple nearly everyday. There is something about spring that makes me want to eat tons of fresh fruits and veggies as well as eat better! (Maybe it’s the impending bathing suit season?) When I came home, I went to the grocery store and nearly went crazy with all of the produce on sale for only $1! Mangos, nectarines, carrots, peppers, avocado, broccoli! 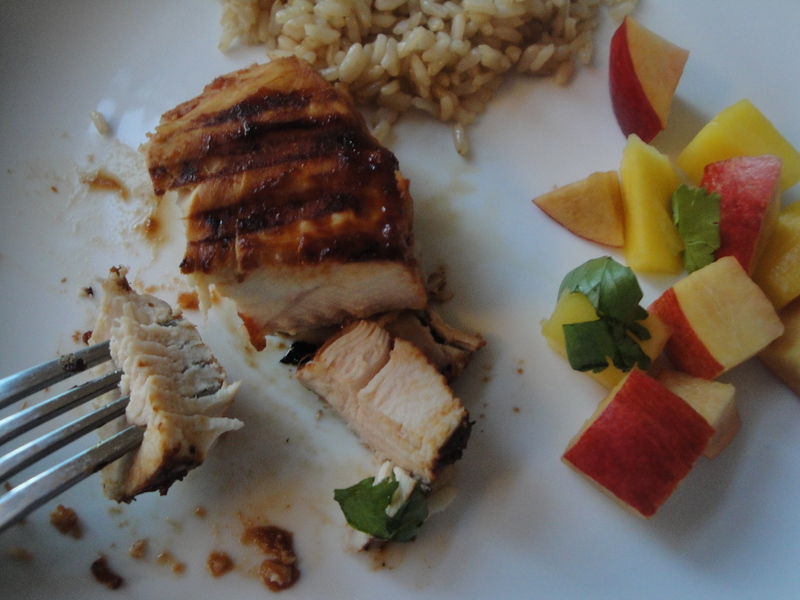 It got me in the mood to stay in a “tropical” state of mind with my eating so I made Hawaiian Chicken and ate it with a homemade fruit salad of mangos, nectarines, cilantro and lime juice. Yum! 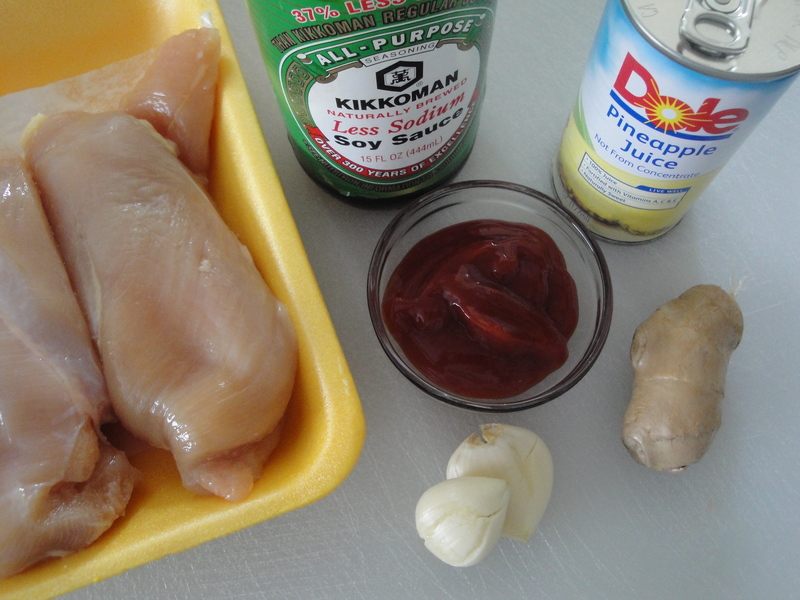 The glaze for this chicken is super easy – soy sauce, ketchup, garlic, ginger, and pineapple juice. 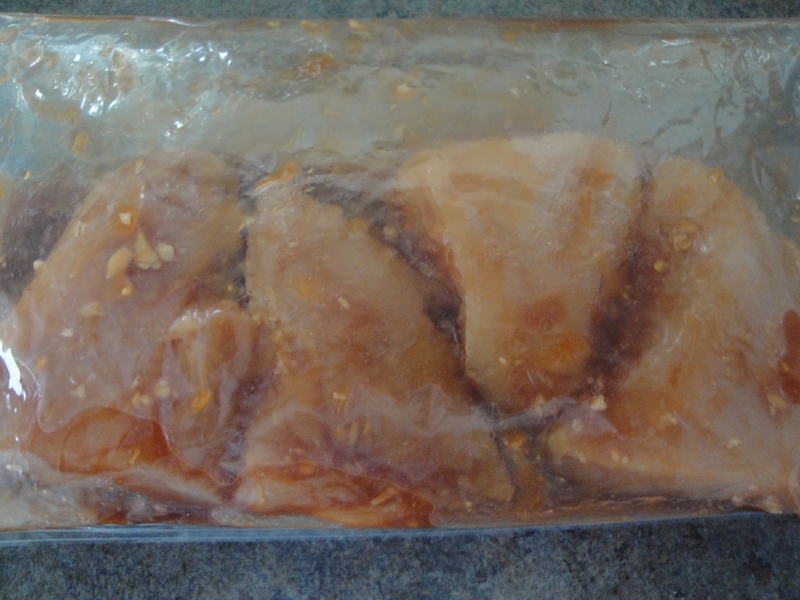 The chicken marinates in the refrigerator for a few hours and is grilled. I’m sure this would be a million times better on an outdoor grill but I’m not complaining with how mine turned out. This especially tasted great with mango. I think I mmm-ed with every bite. This delicious chicken dish puts me right in the mood for springtime! 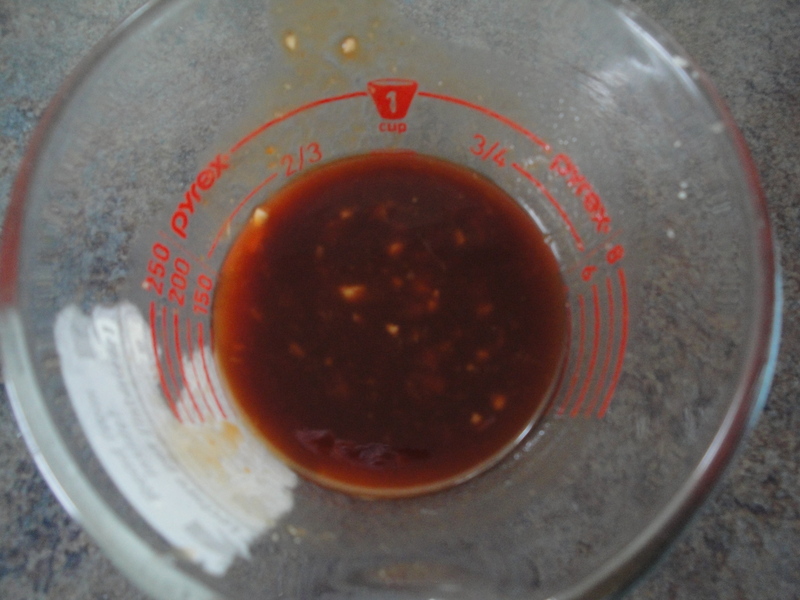 Combine the ketchup, soy sauce, pineapple juice, garlic and ginger in a small bowl. 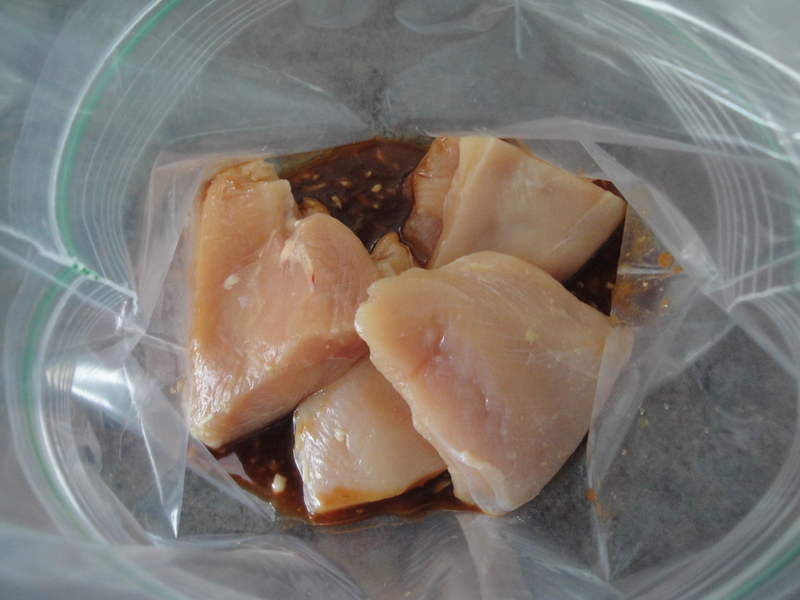 Reserve 1/4 cup of the marinade and pour remaining marinade in a zip-top plastic bag. Add the chicken and chill for 4 hours. 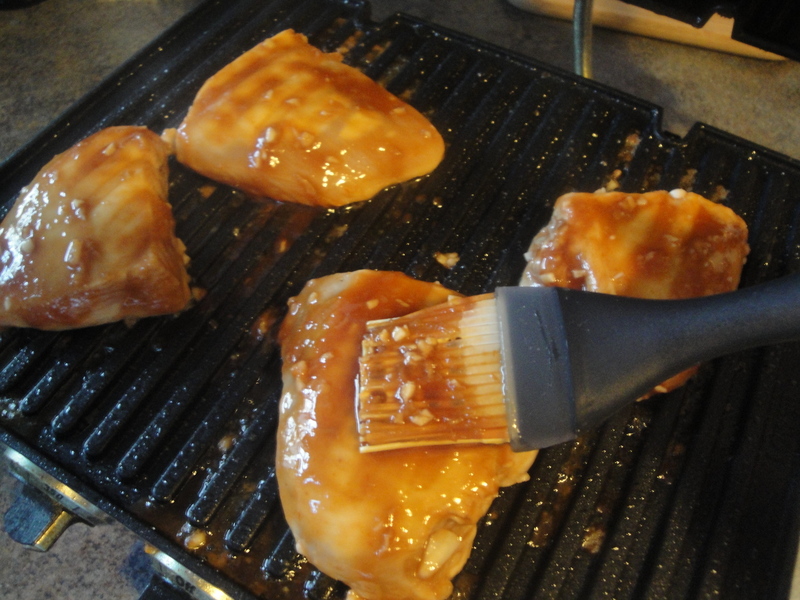 Place chicken on a grill or grill pan coated with non-stick spray. Discard marinade. Using reserved marinade to baste the chicken as it cooks over medium-high heat. Cook for 6 minutes on each side or until completely cooked through. 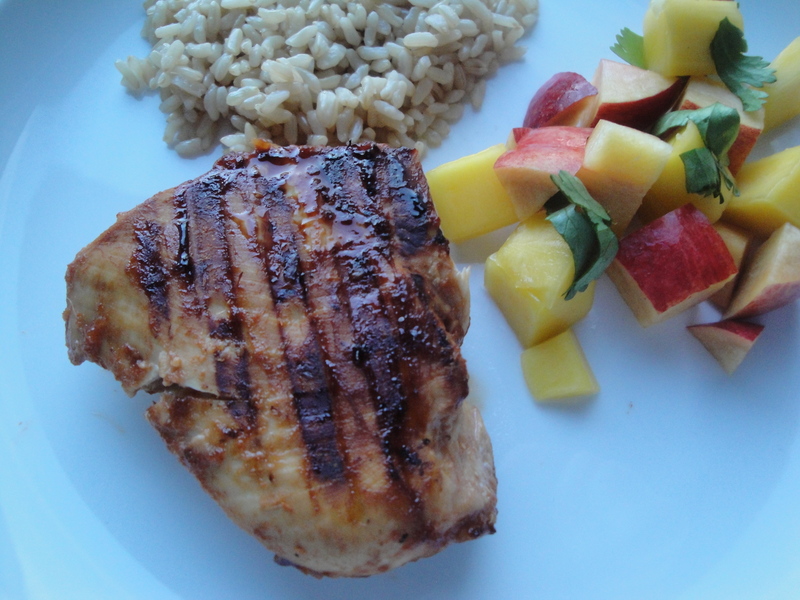 Serve with fresh fruit and brown rice.